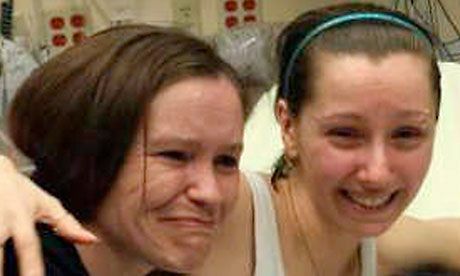 What can be called as a bizarre find of the present times, three women who went missing separately about a decade ago in Cleveland, Ohio, have been found alive in a house a few miles away from where they disappeared. A neighbour said he let one of the women out of the house just south of downtown after he heard her screaming on Monday. In a recorded emergency call, the freed woman told the dispatcher: "I'm Amanda Berry. I've been on the news for the last 10 years." Neighbour Charles Ramsey told WEWS-TV he heard screaming and saw Berry, whom he did not recognize at a door that would open just enough to fit a hand through. He said she was trying desperately to get outside and pleaded for help to reach police, so he kicked down the door to free her.